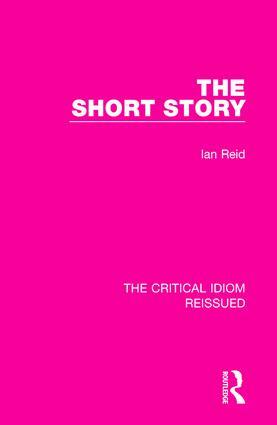 First published in 1977, this book examines the short story, which is one of the most widely read of all modern genres. The study begins by examining some preliminary problems of definition before going on to trace the emergence of what is usually meant by ‘the modern short story’ and examine the various kinds of narrative from which it derives, such as the sketch, the yarn, Märchen, parable and fable. The final chapter considers the possibility that there are certain structural properties belonging distinctively to the short story. This book will be of interest to those studying literature and creative writing.